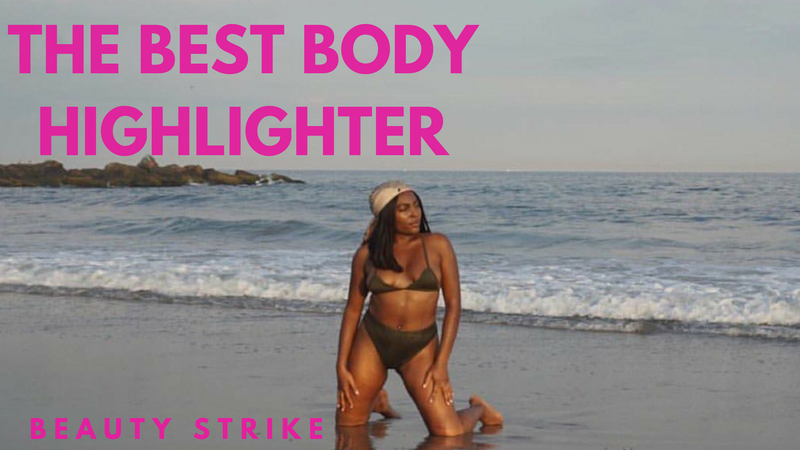 I recently made a short commercial for my beauty brand Beauty Strike for our body highlighter. The Cleopatra body highlighter in the video is 1 out of 5 vegan beauty highlighters Beauty Strike makes. The body highlighter in Cleopatra. A Bronze golden glow, a non-greasy body highlighter thats vegan & cruelty-free. It's hydrating, transforming and illuminating the unique bronze sheen gives a unique personalized glow affect on all skin tones. It moisturizes with grape seed, jojoba and sunflower seed oils. This is so multifunctional that you can put it on your arms, neck and even face. You can use the Cleopatra body highlighter the most wearable highlight ever at the beach, for a brunch or to transform your look from day to night. Our new packaging features no tubes! So no more wasting product, the new packaging has an airless pump that forces every drop (which is over 150 sprays) out to achieve that glow! This 2 ounce bottle is safe for plane travel and we cant wait to see your tagged photos! Vay-cay Anyone?